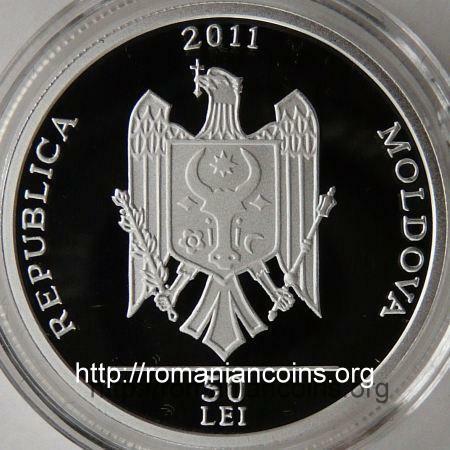 year 2011, circular inscription REPUBLICA MOLDOVA meaning "REPUBLIC OF MOLDAVIA" and the coat of arms of the Republic of Moldavia, in exergue horizontal line and denomination "50 LEI" three carollers, inscription "COLINDUL" meaning "CARROLING"
Colind in Romanian, (zero article form), comes from the Latin word calendae, meaning callends. 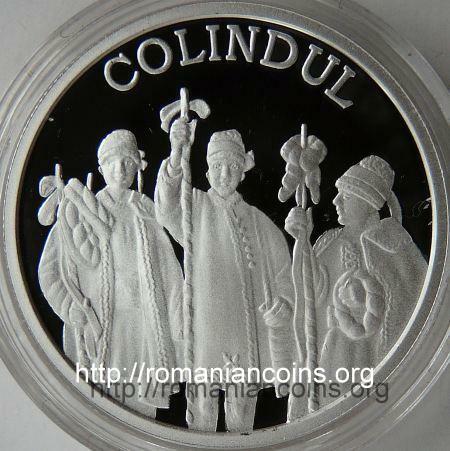 As an old Romanian custom, colindul (with postfixed definite article) = the carolling takes place mainly near to the celebration of Christmas. 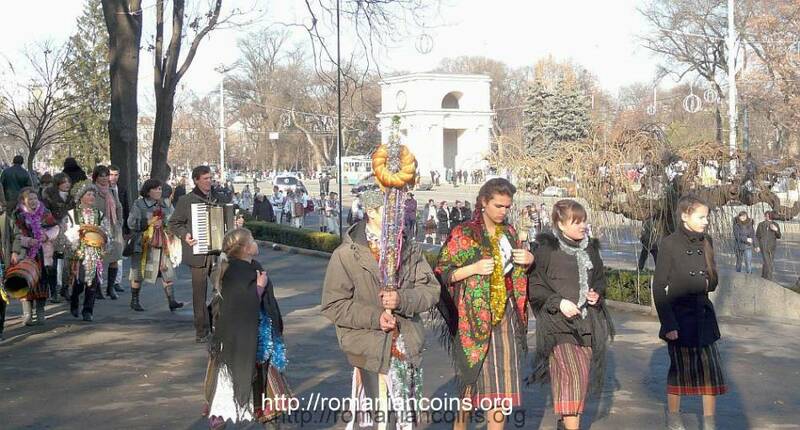 Groups of carollers go from house to house singing carols, short and emotional songs, mostly with religious topics. 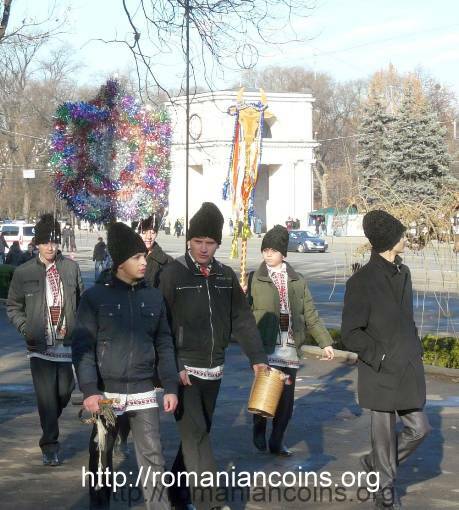 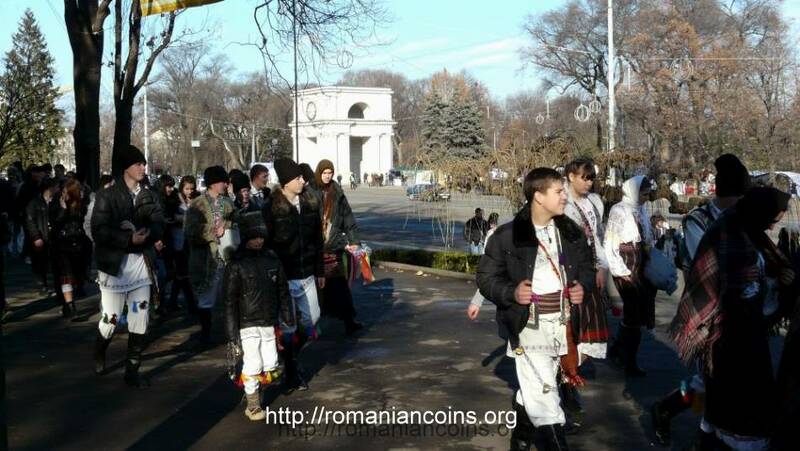 The carollers are rewarded with colaci (traditional braided circular sort of bread) and fruits - nuts and apples especially, but also with other goodies as baked apples, beverages (wine in Moldavia and Walachia, horincă or palincă in Transylvania) or, in modern times, with cash money. 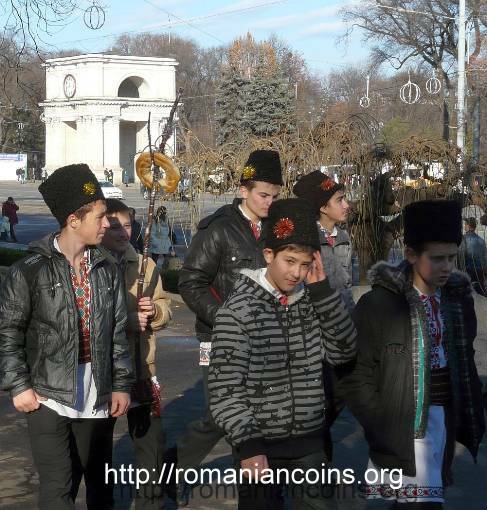 In Moldavia colacii are sometimes born as trophies on a forked spit.